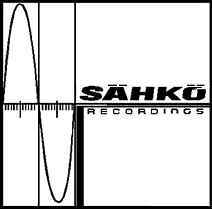 Sähkö Recordings was founded by Tommi Grönlund and Mika Vainio in 1993. Sähkö is the finnish term for "Electricity". The label became best known for its scarce, ultra-minimalist sound. It didn’t take more than a handful of releases for Sahko to attain credible international notoriety last year. Aboriginal analogue freakout shining through every 12” release, all deliciously packaged in recycled materials. Sahko is characterised by the unexpected and unconventional. Records released in unmarked silver sleeves, littered with tiny drilled holes, and CDs secluded inside cardboard envelopes with blurred typefaces. Similarly the music itself travels through some recycling process. Transgressing any formal allegiances, audio genres are crushed, mushed and pulverised during the reassembly phase. The result is sound strangulation, noise choked in the throat; an outrageous interpretation of musical minimalism with credit given to both turn of the century composer, Erik Satie and contemporary producer, Dan Bell. The seventh of Sahko’s releases came from Panasonic. Their copyright infringement foolery proposed two disintegrating mantras: one heavy, one light, both repetitive and endlessly toxic. Performing live at Edinburgh’s ‘Pure’ in April, the three shaven heads left an unsettled audience stretched beyond patience, waiting for bass drums that never kicked in, to drive erratic frequencies. A more cautious repetition is defined the perimeters of the album itself. Dry and taut like the air before a thunderstorm. By turns the tension is both irritating and transfixing. Tiny melodic figuration over fixed rhythmic cycles. Subtle and skeletal, the reiterative, cyclical elements contemplate prolonged intervals of waiting. One to two sounds shifting in speed or pitch. Muted pendulated shades of circuits and modulators. These rudimentary noises emerge from the austere arctic landscape of Finland, a country locked in darkness for many months of each year. The minimalism, pitch fluctuations and extreme repetition of Panasonic might imply aeons of ear training, to elucidate theories of sound and hearing-related sciences. Yet the semantics of Panasonic’s sound are closer to the clinical phenomenon of alpha waves and brain tuning than to aspects of intonation, harmonic structure or acoustic theory. In both cases, only metaphors can convey a description with any accuracy. By letting sounds be themselves, Panasonic recreate the distant tones and silences of winter electricity. As yet, music more heard of than heard, Panasonic’s album is released on Blast First. Sahko 9 is ‘Porzellangasse Grooves pt.1’ by Kirlian, whilst Sahko 10 is ‘TaI-s’ by Sil Electronics. A rumoured Sahko CD compilation is eagerly awaited.